Simplify your everday life with this coat rack made from solid beech. 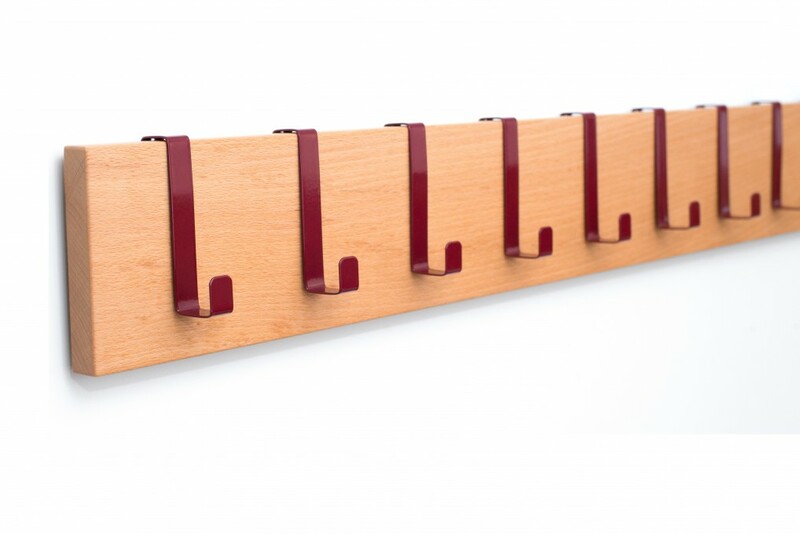 Assign different colours of hooks to each family member, leaving spare ones for company, and restore order to your cloak room or hallway. Depending on the space in your foyer, we offer this coat rack in two lengths: 60cm and 110cm. 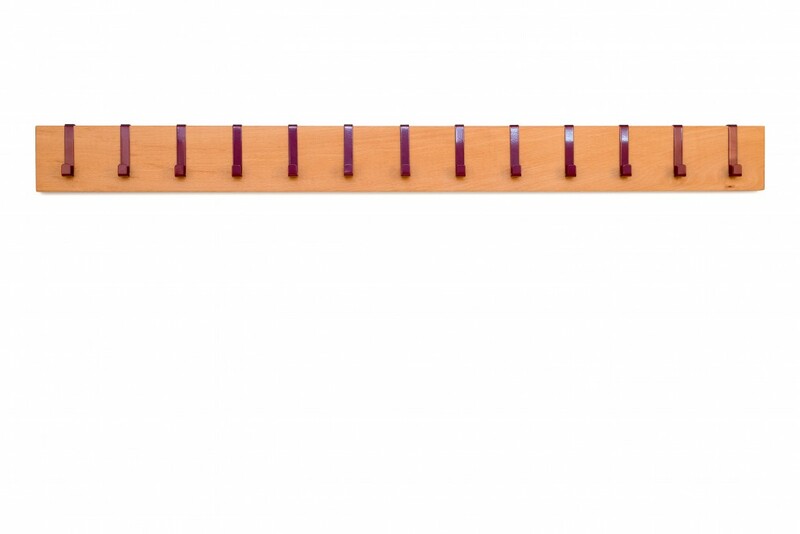 It is equipped with 7 or 13 metall hooks, respectively. 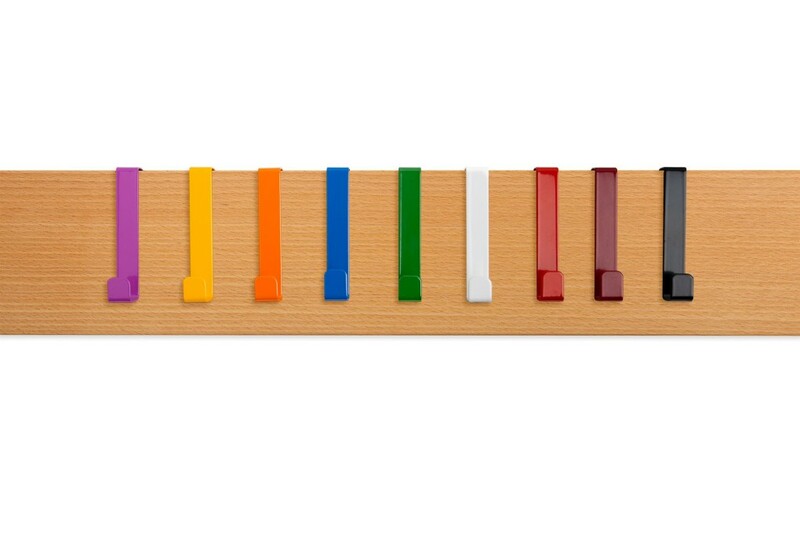 They come in stainless steel or powder coating - just tell us your choice of colours and how they should be arranged. 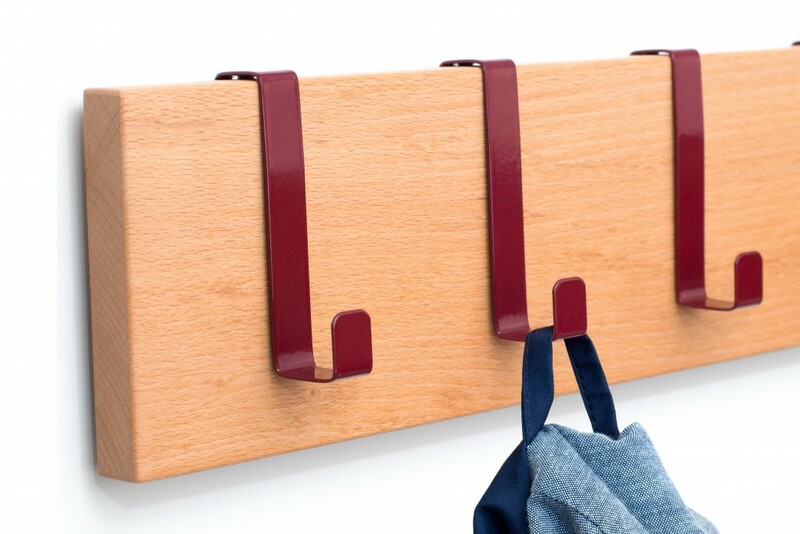 The coat rack is easily mounted with two screws that are invisible once in the wall. 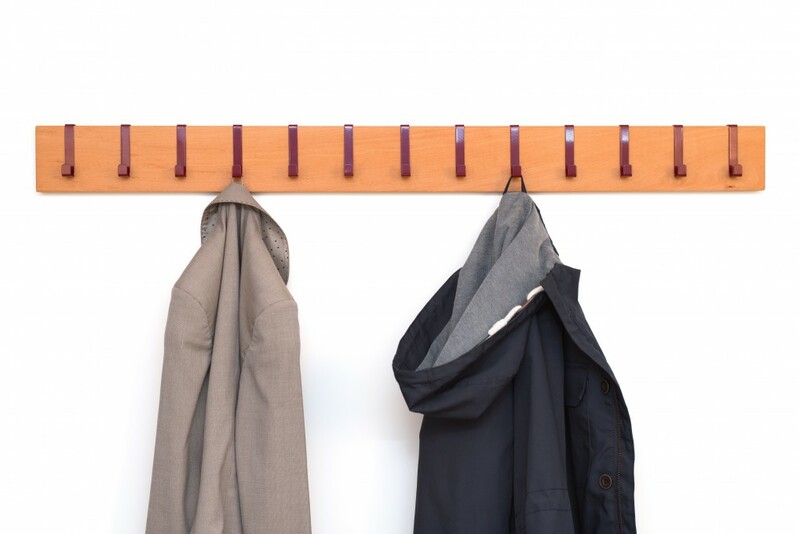 The shadow gap on the back makes the coat rack look like it floats. 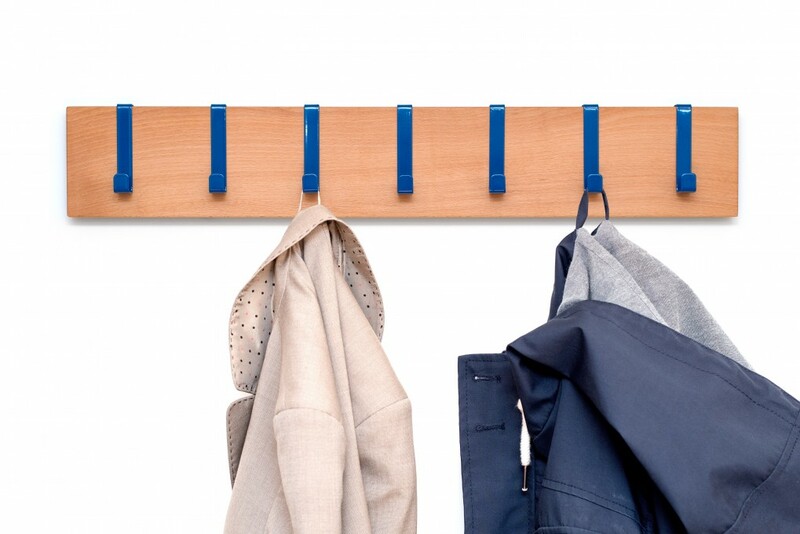 The coat rack is versatile as it makes for a practical piece of furniture for dish towels and aprons in the kitchen or in the bathroom and bedroom for hanging up clothes. 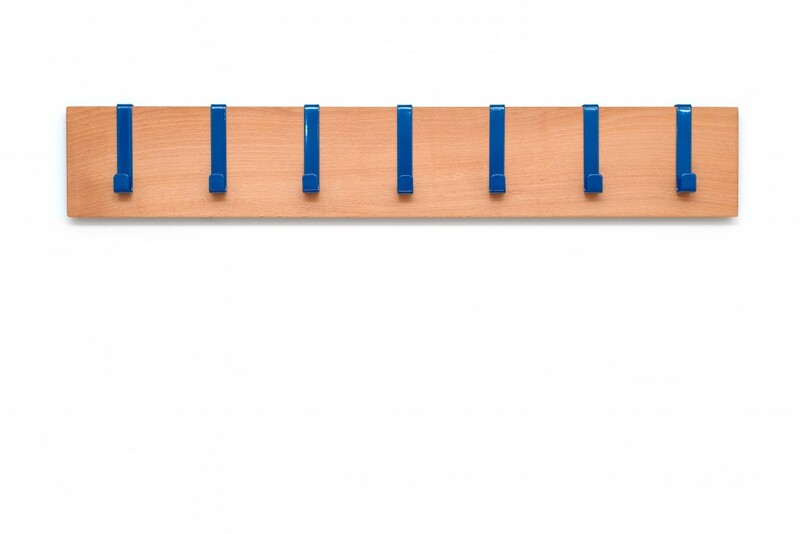 You can also bring some colour to your kid's room with our coat rack.